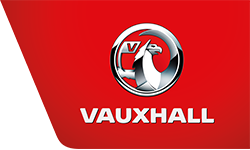 Vauxhall Astra SXi Specification includes: 16-inch Alloy Wheels. Sports Front Seats. Front Fog Lights. Tinted Glass. Sports Leather Steering Wheel. Steering Wheel Mounted Audio Controls. HIRE PURCHASE REPRESENTATIVE EXAMPLE: Cash Price £2850-00. Deposit/Part Exchange £200-00. Total Amount of Credit £2650-00. Purchase Fee (included in the Final Payment) £10-00. Credit Facility Fee £0-00. Total Amount Payable £3360-80. Initial Payment £65-85. 46 Monthly Payments £65-85. Final Payment £65-85. Duration of Agreement 48 Months. Representative APR 9.3%. Interest Rate (Fixed) 8.79%. Vehicle History: This snazzy Astra was registered on 02 March 2010 and has been serviced locally, as verified by the service book. It comes provided not only with a 12 month RAC warranty, but we are also conducting a fresh MoT prior to sale. Further Specification Information: Air Conditioning with Air Recirculation Facility. 12v Power Socket and Cup Holder in Centre Console. CD/Radio/MP3 with Aux In Socket. Rev Counter. Power Steering. Electric Front Windows. Electrically Adjustable Door Mirrors. Remote Central Deadlocking. Factory Immobiliser. Height Adjustment to Driver Seat. Reach/Rake Adjustable Steering Column. Driver/Passenger/Side/Curtain Air Bags. Anti Lock Braking (ABS). ISOFIX Child Seat Mountings to Outer Rear Seats. Front and Rear Headrests. 60/40 Split Rear Seatback. Rear Map Pockets. 3 x 3-point Rear Seatbelts. Colour Coded Exterior. 5-speed Manual Gearbox.